Playday Mayday, the latest foray into sketch comedy by powerhouse improv troupe Uncalled For, is as delightful as you can expect. By as you expect, I mean that this experienced crew will leave you cry-laughing in your seat. Honestly, with these guys, I expect nothing less. The running thread of the show is the idea of childhood play. A group of old friends, now grown up, are having a seaside reunion where they used to meet and play as children. While one of the fivesome quickly abandons the others in favor of responding to a work emergency, the others end up in an out-of-bounds play area that pushes their imaginations to new heights. They must get out before the tide comes in, but how will they keep track of time when they are having so much fun? I was surprised to see this group in the line-up for the Wildside Festival this year. The troupe had announced a hiatus a few years ago, and so I asked Matt Goldberg, one of the original founding members, a few questions about the return of the old gang and how it was to get together after such an extended break. Angela Potvin (AP): How was it working with the old team on a sketch show again after the hiatus? Matt Goldberg (MG): It’s like coming home. It was awesome, of course, but also challenging. We are now all spread out — mostly split between Toronto and Montreal. A lot of this show was workshopped via Skype and the occasional weekend in one town or the other. 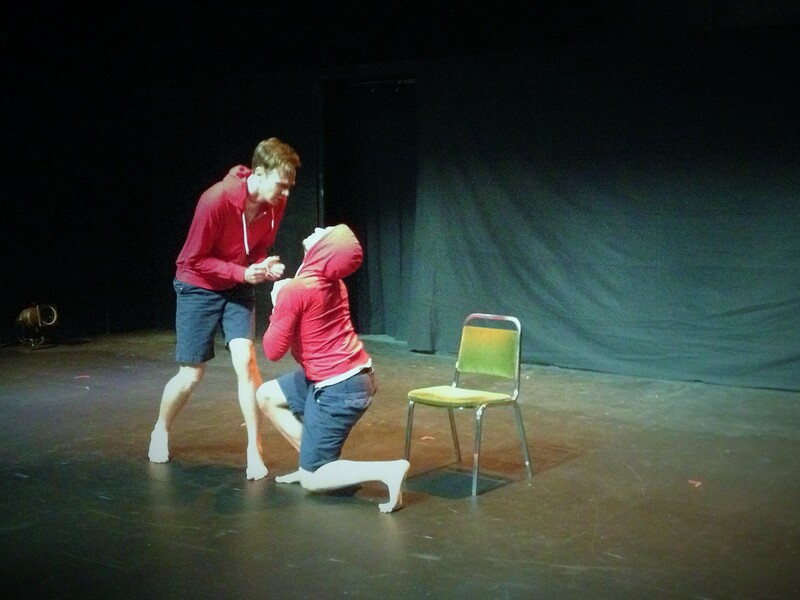 Despite not premiering a new full show, we have been working together a bunch at sketch and improv festivals, so we’ve still got that strong connection… So as tough as the distance was, we knew we knew we could always rely on the other guys. AP: How do you feel that this show differs from the preview Uncalled For hits? MG: For one, we’re different. The themes of growing up, making choices, keeping ‎creativity alive — these are really real things now. The show itself is also a little more mature — it’s got the tightest narrative through line of any show we’ve done before. That said, it’s still our kind of sketch comedy. Our voice, our craziness, our energy. AP: Does this mean that we are going to be seeing you all again more often in the future? MG: Well, we’re always up for coffee. Just call first. And give some of us a few hours to get there. 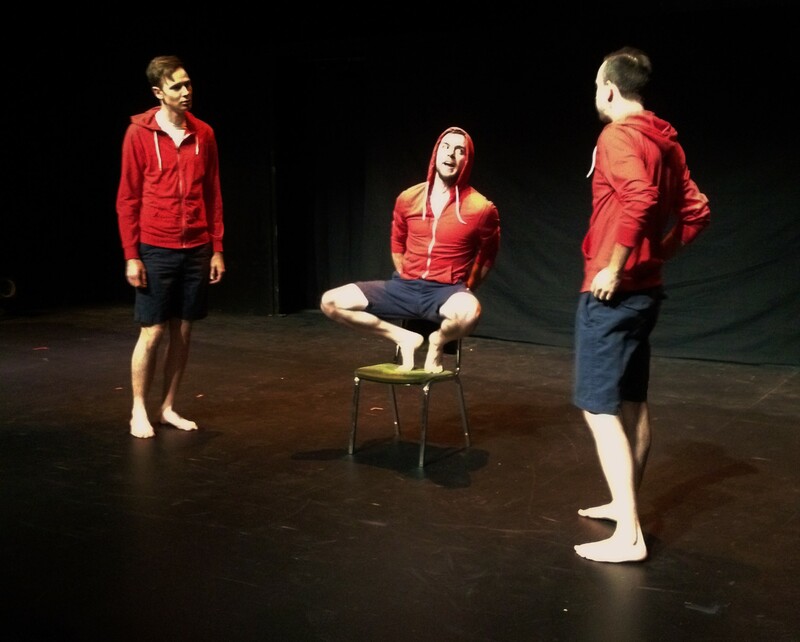 Striking a delicate balance between their signature rapid fire wordiness and physical comedy, this show evokes the fun of childhood play while constantly engaging your mind on another level, as you try to figure out where they can possibly go next. It is a lot of fun, and there are only four more performances, so you better get your tickets fast. Playday Mayday is showing as part of the Wildside Festival at the Centaur Theatre (453 St. Francois Xavier) from January 7-17th. Please check the website for show details.